There’s nothing quite like a Florida Keys flats fishing experience. In water just several feet deep, you can land game fish both large and small. The most sought-after species are Tarpon, Bonefish, and Permit, each with their special place on flats fishing bucket list. Tarpon, the largest and hardest-fighting of this trio, can reach up to 200 lbs in the Keys. 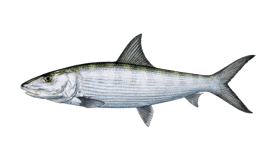 Bonefish are a favorite of fly fishermen, known for their speed and elusive nature. 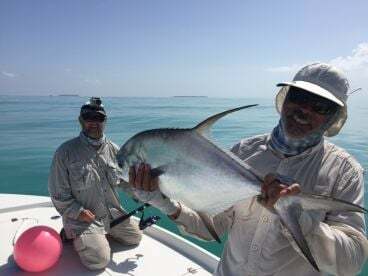 Still even harder to hook is the Permit, considered by many to be the “Holy Grail” of flats fishing. This fish typically weighs 15-20 lbs, though some can reach up to 40 lbs. Catch all 3 of these glorious species and you’ll earn the bragging rights to a Florida Grand Slam, along with the respect of every local angler. Throughout the year you’ll find many popular game fish on the flats of the Keys. Fall and winter are good times to fish for Redfish, Bonefish, Sharks, and perhaps even a Permit. 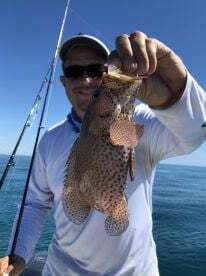 Come spring, you’ll start to see more Speckled Trout, Snook, and Tarpon. 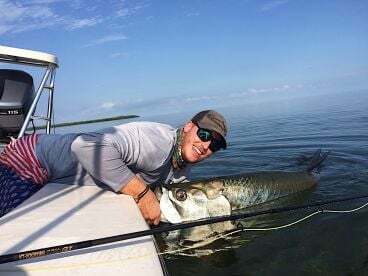 Fishing through summer will generally produce the most species and your best chance at landing a Florida Grand Slam, since these months are the peak season for Tarpon, Bonefish, and Permit. The Florida Keys span over 120 miles, and you’ll find plenty of flats to fish all along this thread of islands. While you’re likely to encounter many of the same species throughout the area, each part of the Keys has its specialty. 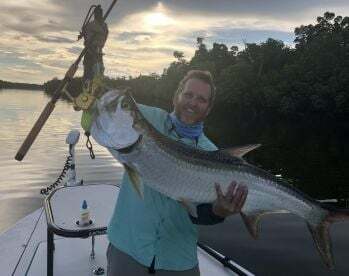 This portion of the Keys is known for the biggest Bonefish in Florida, as well as the usual assortment of Redfish, Snook, Speckled Trout, and Permit. These flats also boast spectacular Tarpon fishing. 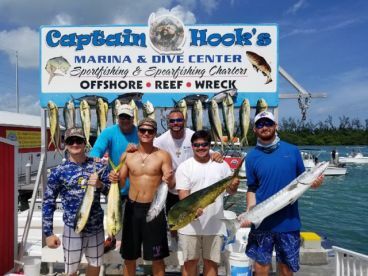 Many guides in the upper Keys fish the same spots, so you can count on a stellar experience everywhere between Key Largo and Islamorada. 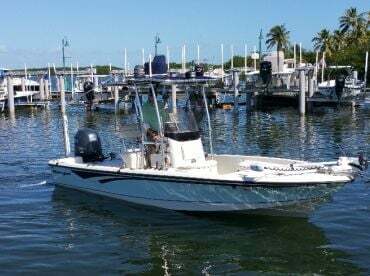 Fishing out of Marathon gives you the option to head up to Islamorada or down toward Big Pine Key. In essence, you get the best of both worlds. 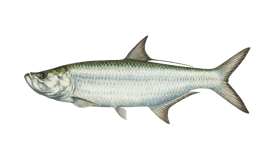 Head south to the Seven Mile and Bahia Honda bridges to get in on some of the best Tarpon action around. The Marathon flats are also a great place to target baby Tarpon in the fall. If you’re intent on landing a Florida Grand Slam, the flats of Big Pine and Cudjoe Key are the place to be. Here you’ll find hordes of Bonefish, Permit, and Tarpon, ready to bite any number of baits you throw their way. For a chance at the Holy Grail of flats fishing, set your sights on Key West and the Marquesas Keys. 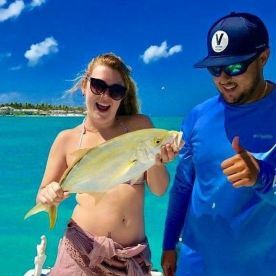 Here you’ll find more Permit than anywhere else, accompanied by vast numbers of Bonefish, huge Barracuda, and a year-round Tarpon population. Flats fishing in the Keys can be as simple or as intricate as you make it. Experts and beginners both enjoy great success while spinning with light tackle, and fly fishermen continually find new ways to challenge themselves. 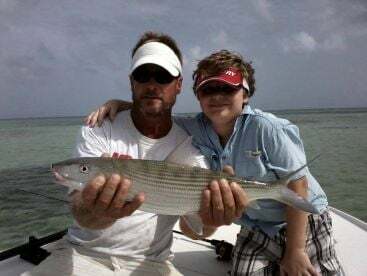 Anglers are especially passionate about sight fishing the flats, as this is the most exciting way to hunt down Tarpon, Bonefish, and more. You can typically rely on 6-12 lb test line if you’re spinning for Bonefish, Permit, and other species. 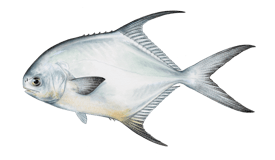 Permit take most to live Crab, and this bait works well for other fish in addition to Shrimp and jigs. Fish for Permit during high tide, since this is when the water is deep enough and cool enough for them to enter the flats. Tarpon fishing generally calls for heavier tackle (try 20-30 lb test line). 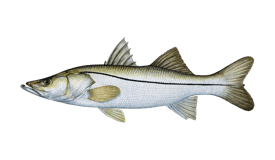 Popular bait choices include Crab, Shrimp, and Pinfish. Fly fishermen can use an 8 or 9-weight outfit for Bonefish and Permit, and a 12-weight for Tarpon. Anglers age 16 and older must carry a Florida fishing license. Trips booked with a licensed fishing charter usually include a license for you, but it’s always best to confirm ahead of time. Fishing for Tarpon, Bonefish, and Permit is strictly catch and release in Florida. Size and bag limits may apply to other species. You can stay up to date on local fishing regulations online.